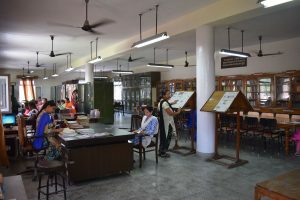 Library is the fundamental resource centre of knowledge.To inculcate the habit of self study, the institution has proper storing and seating arrangement for teachers as well as students.The college library is well equipped with latest text books, reference books and periodicals including journals, magazines, newspapers to accomplish the academic needs of the students. There is a provision of NCERT/ PSEB books of classes VI-XII which helps the student teachers to prepare their lesson plans. 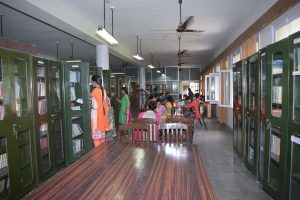 There is a Library Advisory Committee which looks after the matters and functions of the college library.